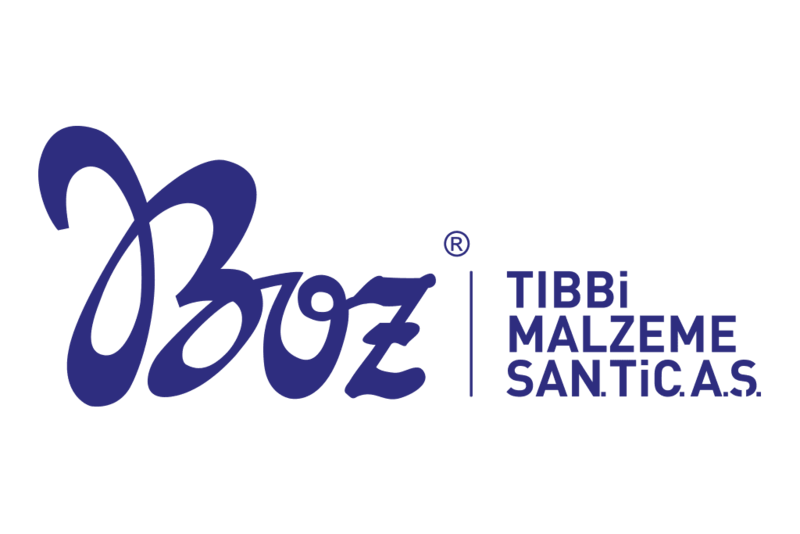 Boz Medical will attend IDS 2019 - 38th International Dental Show organised in Cologne, Germany as one of the largest oral and dental health organisation. We will be on our stand in International Dental Show that is leading global trade fair of dentist society. We will meet with our valuable customers in IDS 2019 fair. International Dental Show is organised biannually and latest fair was completed in Cologne in 2017. Focus point of International Dental Show is digital manufacturing and diagnosis methods, smart network solutions for application and laboratory, and smart services for dentists and dental technicians. Additionally, the purpose of this fair is to improve global patient care and oral health. IDS fair is regarded as the largest global dental fair with attendance of 1500 firms and more than 155,000 oral and dental health professional visitors from 157 countries. IDS 2019 offers wide range of elements to be experienced by all institutions and individuals working on oral and dental health. Visitors will be able to access various dental instruments ranging between daily application to laboratory work. This organisation will last for 5 days including exhibitions, seminars, forums, award ceremonies and shows. 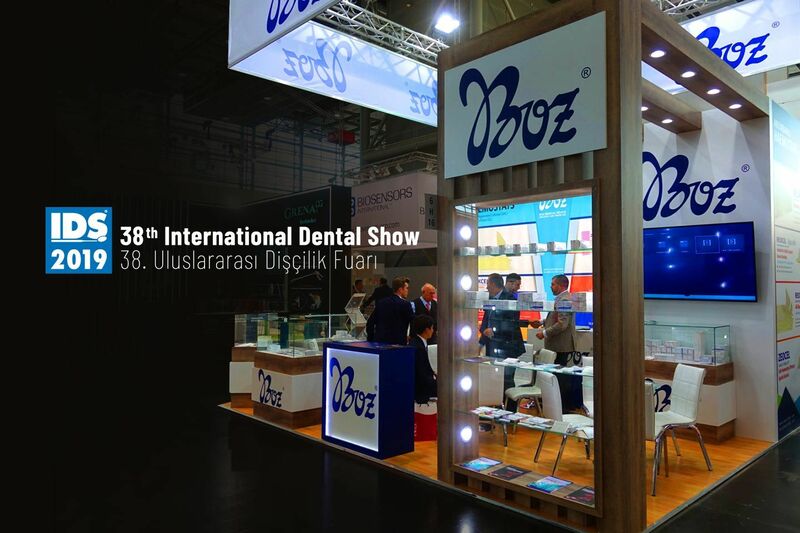 Boz Medical will be in IDS 2019 – 38th International Dental Show with all the excitement to be with shareholders of dental world. 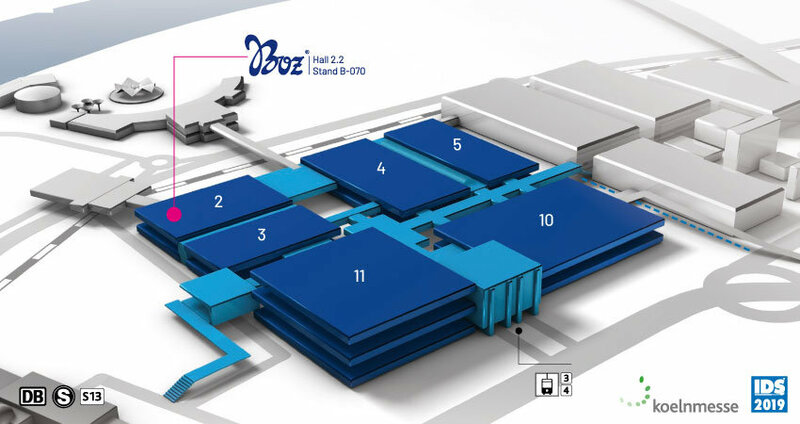 As Boz Medical, we will be ready for our valuable business partners in Hall 2.2, Stand B-070 in IDS 2019 38th International Dental Show organised in Koelnmesse Fair Centre in Cologne, Germany between 12-16 March 2019. In our stand, we will introduce our dental sutures and haemostats developed to meet all demands and needs of oral and dental health sector. Also, we will provide the opportunity to test our products to visitors of our stand. If you want to learn more about our products and view how our products are used in operations closely, we would be happy you see you in this organisation that combines sector leaders. You can click the button below to book your place and select the most suitable date and hour for your appointment.